Latteria Sociale Mantova wins three medals at the WORLD CHEESE AWARDS, the most important world competion for cheese producers, the Oscars of the dairy sector. The 2018 edition was hosted in Bergen (Norway), on November 3rd. A great success for our group, which has been regularly awarded during the last decade. Among all, LSM is awarded with the SUPER GOLD MEDAL for seasoned Grana Padano, with great pride and glory of our Board and team. 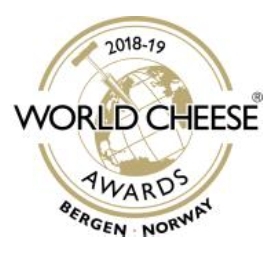 Here is the link to the WCA website: https://gff.co.uk/awards/world-cheese-awards/.